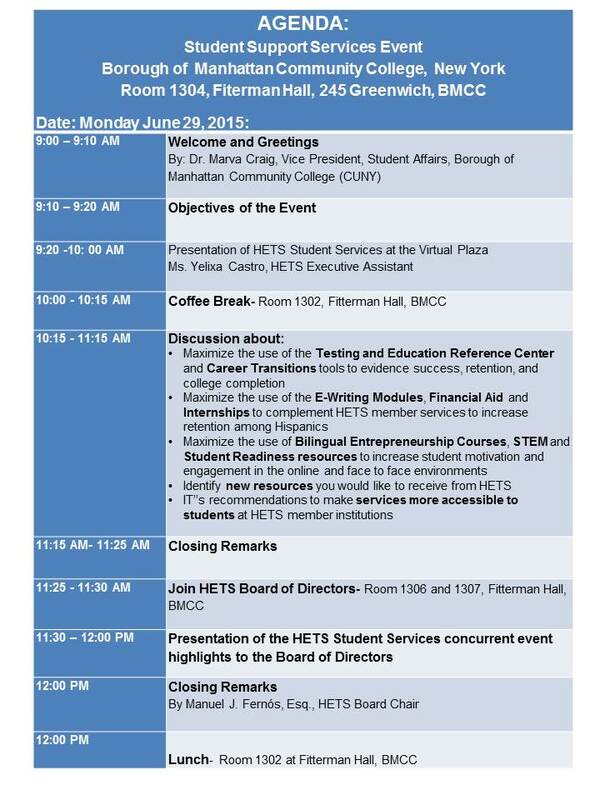 Concurrent with its Summer Board of Directors Meeting, HETS celebrated on June, 29 2015, the Student Support Services Event in New York City at Borough of Manhattan Community College. Participants from Bergen Community College, Berkeley College, College of Staten Island, Hostos Community College, LaGuardia Community College, Lehman College, Stella and Charles Guttman Community College, Inter American University of PR in Puerto Rico and NY, Cumberland County College and Borough of Manhattan Community College took advantage of this event and collaborated in a very deep and interesting discussion regarding HETS free of charge services available for students through our Virtual Plaza portal. The main purpose of this event was to identify and share strategies in using HETS Student Support Services to increase access and retention, and explore additional ways to collaborate through HETS on how to maximize the use of the Testing and Education Reference Center and Career Transitions tools to evidence success, retention, and college completion; Maximize the use of the E-Writing Modules, Financial Aid and Internships to complement HETS member services to increase retention among Hispanics; Identify new resources you would like to receive from HETS; Maximize the use of Bilingual Entrepreneurship Courses, STEM and Student Readiness resources to increase student motivation and engagement in the online and face to face environments and ITs recommendations to make services more accessible to students at HETS member institutions. These sessions were directed by Ms. Yelixa Castro, HETS Executive Assistant and Public Relations Coordinator, who also presented several of HETS student services available free of charge accessible from the HETS Virtual Plaza. 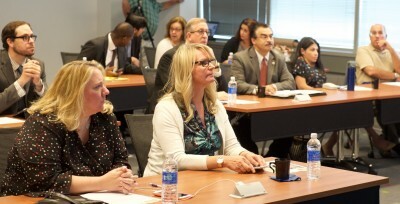 The event closed with a brief presentation of the discussion results and recommendations to the HETS Board of Directors which allowed HETS to learn more about student interests and needs and the best ways to create additional support services for them and our member institutions. 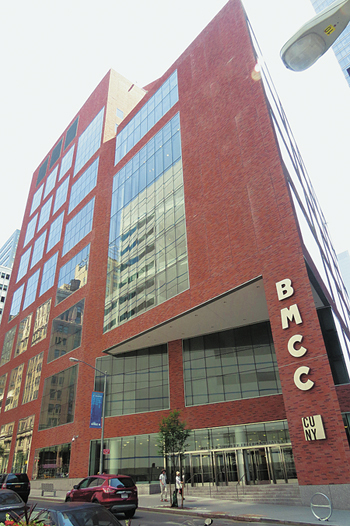 HETS would like to recognize BMCC’s staff that helped with the setup of their outstanding facilities at Fiterman Hall and the live transmission and recording of the event. To watch the recording of this event click here. For more information about HETS services, please visit http://hets.org/, or contact us via email info@hets.org or just call us at (787) 766-2600 exts. 8910 / 8911. Cost: Free of charge! But spaces are limited, reserve yours today!